Explore the southern reaches of the Maya Empire – from the ancient cities found along the coast of Belize to Tikal, located deep within the Guatemalan rain forest. An expert on the region’s archaeology will accompany us throughout the tour. We’ll meet you at the Belize International airport and take you to our hotel for a welcoming cocktail party and orientation discussion. We’ll spend the next two evenings in Belize City at the Radisson Fort George Hotel. We’ll spend the morning touring Belize City. 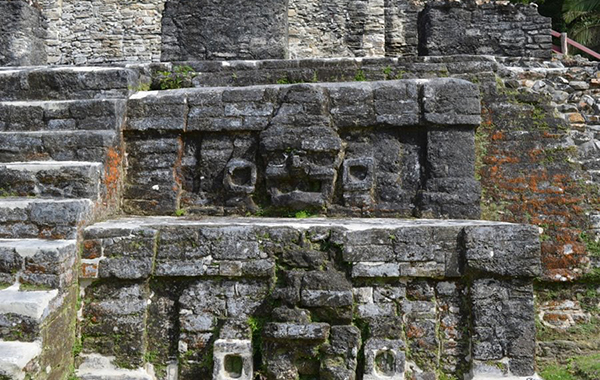 In the afternoon, we’ll explore the ruins of Altun Ha, a city that once covered three square miles. Xunantunich, which can only be reached by hand-cranked ferry across the Mopan River. We’ll spend the next two nights at the charming San Ignacio Hotel in San Ignacio del Cayo. We’ll visit Caracol, where the incredible stelae and inscriptions tell tales of bloody wars in which Caracol triumphed over its nemesis Tikal, as well as Naranjo and other Maya cities. We’ll cross the Belize border into Guatemala and visit the important Maya center of Yaxha. 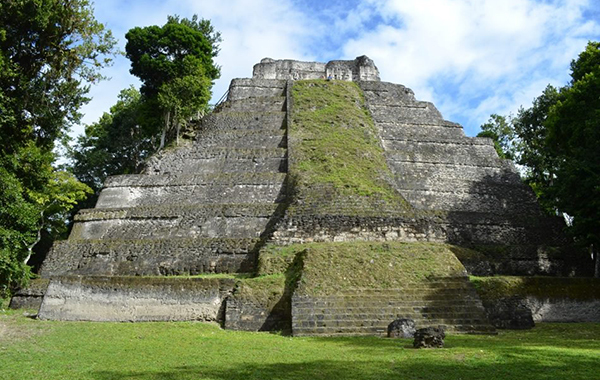 We’ll spend the afternoon visiting the museums at the site of Tikal, located in the vast rain forest of Petén. We’ll spend the next four evenings at the Villa Maya Resort. 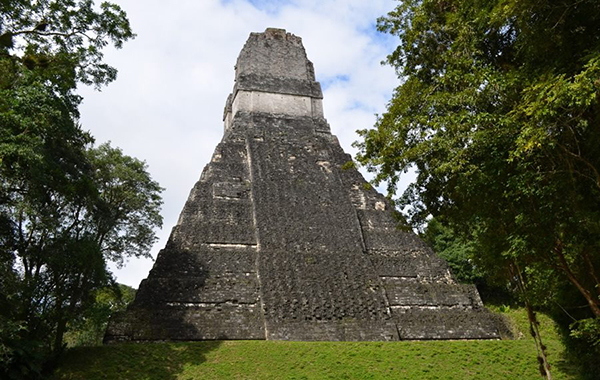 We’ll spend two days exploring the extensive ruins at Tikal, a magnificent city that may have covered more that 25 square miles and had a population exceeding 75,000. We’ll visit the vast ruins of Uaxactún, located just 23 km north of Tikal. In late preclassic times, Uaxactún was Tikal’s political and military rival, until Tikal’s King Great Jaguar Paw conquered the city in the 4th century. We’ll return to Belize City where we’ll be spending two nights at the Radisson Fort George Hotel. On the way, we’ll have an opportunity to shop at the Guatemala border. 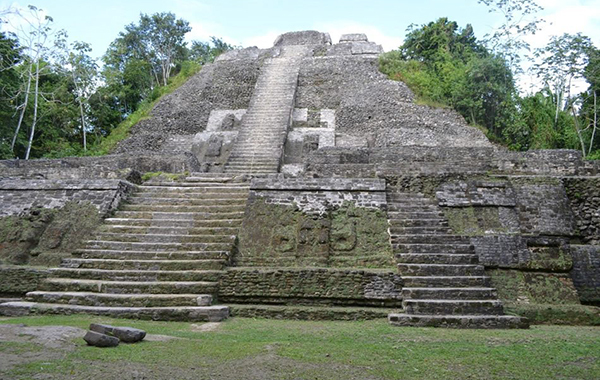 We’ll visit the mountaintop palace of Cahal Pech in San Ignacio, Belize. 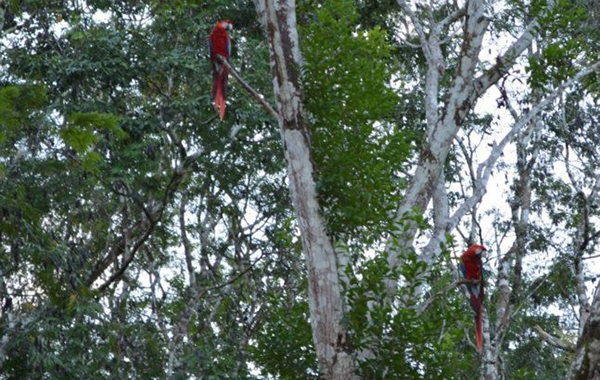 We’ll also visit the world famous Belize Zoo. Traveling by boat up the New River, we’ll see the lowlands of Belize, home to turtles, monkeys, and tropical birds. At the end of the trip lies Lamanai, a vibrant Maya trading center established before the birth of Christ and occupied until 1641. A finely carved monument commemorates Lord Smoking Shell’s rule over the area. Cost includes first-class hotel accommodations based on double occupancy (single supplement is $450), meals included as indicated, happy hours, admittance fees, tips tours and orientations, background reading and surface travel via tour bus. Not included are meals other than those specified and travel to and from Belize City. NOTE: Belize has a tropical climate, but weather should be warm in January with an occasional tropical shower. A modest amount of walking is required. Ruins have rubble, undeveloped trails, and steep stone stairs. Climbing these stairs is necessary in order to see some of the ruins.